We live less than five minutes from the Texas State Fair, so it would be sacrilegious to not go, right? RIGHT. — Gene Wilder, as Willy Wonka in Roald Dahl's "Willy Wonka & The Chocolate Factory"
Jerry + I decided head out on late Tuesday afternoon (goin' up...on a Tuesday...literally, we did) so we could skip the crazy weekend crowd. 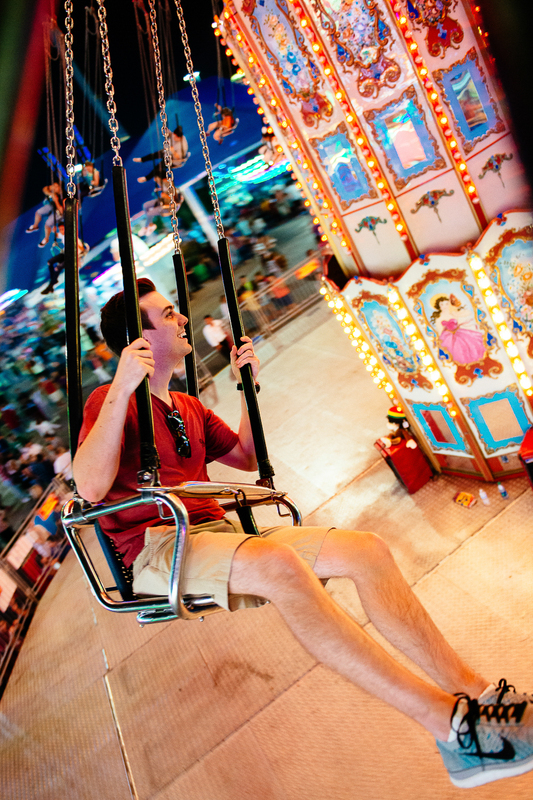 And so we could experience the fair at golden hour, because let's be honest, that is the best way to experience a fair. Within a few minutes, we said "Hey" to Big Tex, had a Fletcher's Corn Dog in hand, + started strolling around in sensory overload. We ate lots of "fair food" to include this year's cookie fries (creative, yes, yummy, eh), pulled pork nachos, and an edible cup with cotton candy soda, in which I'm still salty about. It was one of the grossest things I ever try to ate and all I wanted was the Gene Wilder Willy Wonka experience. Rest in peace my dear, creative idol. We stopped by the beer gardens because nothing is better than strolling the state fair with a Texas brew in hand. I've been particularly fond of Austin Eastciders Texas Honey Cider lately. After seeing the best view of Dallas one could possibly see in the Top O'Texas Tower, we strolled around and ran into the Starlight Parade. We ended the night with the messiest but tastiest cotton candy and a spin on the swings. 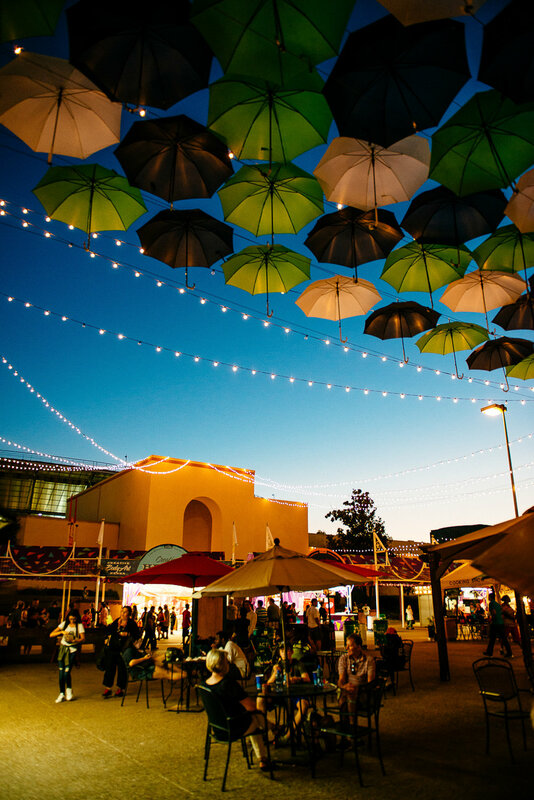 The traditions that seep into this fair are great from the shows, to the ferris wheel, and stunning architecture in the exhibition halls, and they soon become traditions that you want to relive again + again. It's always nice to just escape reality + live like a kid (who can drink spirited libations) again.